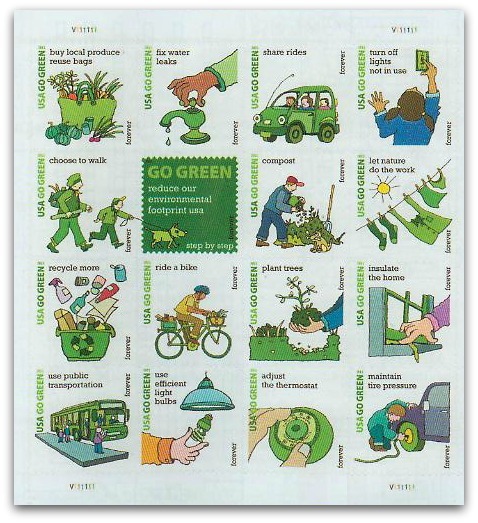 USA Go Green Stamps Inspires Wayne L Youngblood to Produce Amazing FDCs! 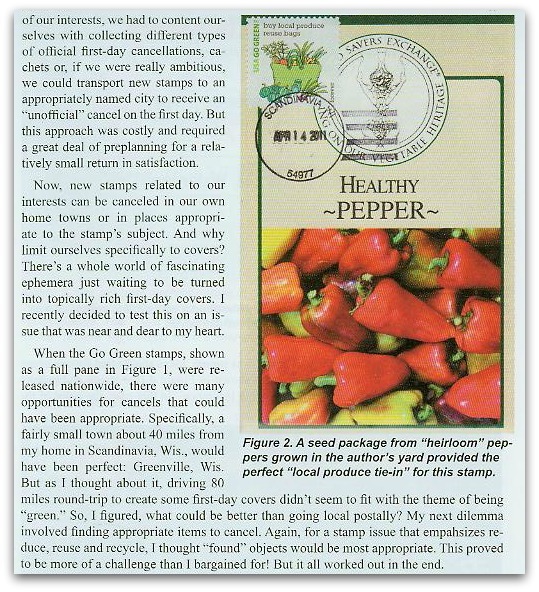 In the May-June 2011 Journal of Thematic Philately issued by the American Topical Association (ATA), I read with great pleasure Wayne L. Youngblood’s article titled: “Greenstamps Provide Topical Springboard” in which he relates his challenging experience of creating first day covers with the USA Go Green stamps released last April 14th. And the above is just one fabulous example! 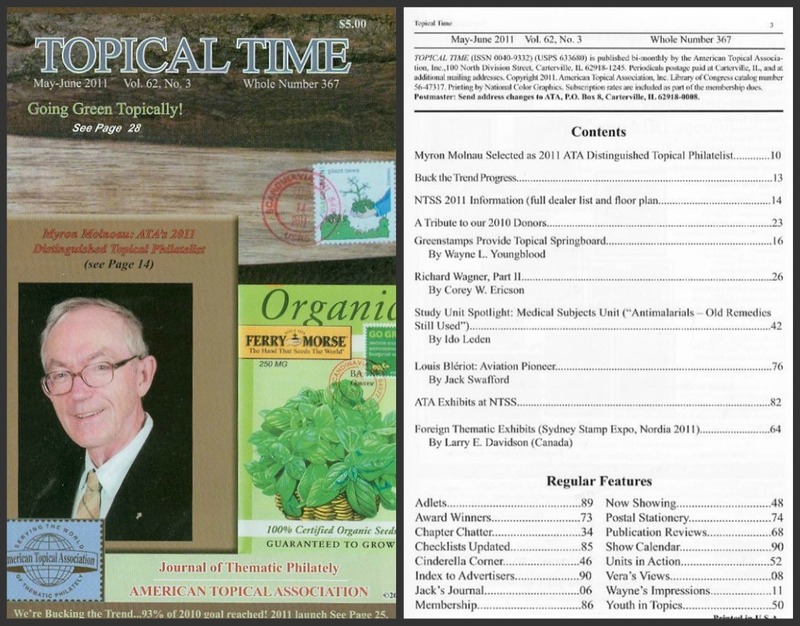 Get your hands on the May-June 2011 issue of the Topical Time to discover how the other 15 stamps of the series were matched with related documents by Wayne L. Youngblood to create fascinating first day covers. The Journal of Thematic Philately is published bi-monthly and mailed out to all their members. Are you currently a member of the American Topical Association? If not, I recommend you join as soon as possible in order to benefit from all the resources available to members only. 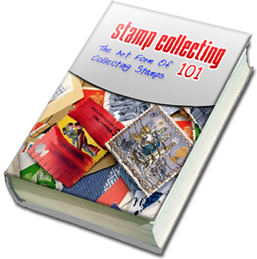 Share ideas with worldwide stamps collectors all around the globe. The ATA promotes topical stamp collecting by encouraging the collection, research, and study of topical stamps and their subjects. You will also get access to ATA published books, checklists and audio-visual programs. The ATA host and participate in many philatelic exhibitions. You can even get assistance to acquire or dispose of collections. Call them up at 618-985-5100 or simply print the form below and mail out to the adress shown. Believe me, it’s not an expense. It’s an investment into hours and hours of pleasure inside your hobby 🙂 . Enjoy and until next, happy collecting! Topical Stamp Checklist – Candy on Stamps! You have written an article on stamp collecting? 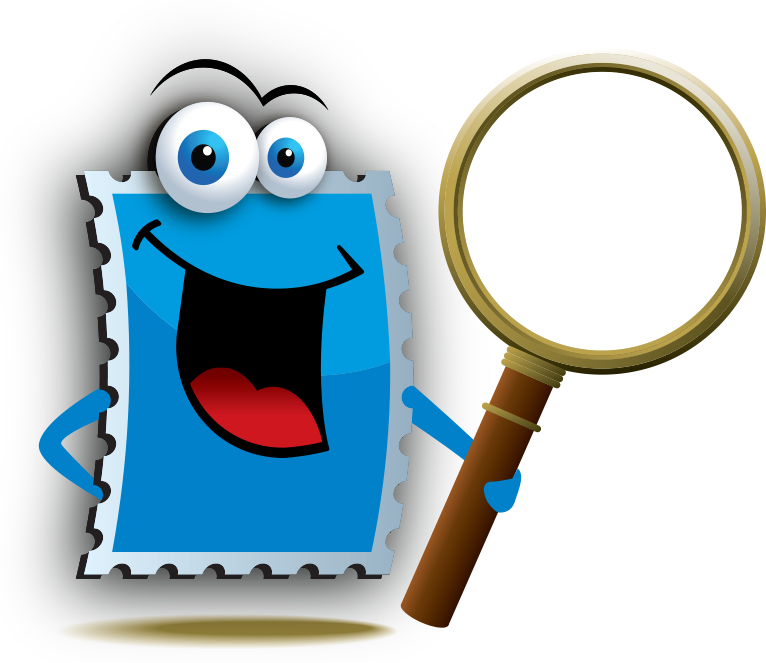 Have a blog on stamp collecting? Have topical stamps checklists you would love to share? Know about a beneficial resource that would help both stamp collectors and topical stamp exhibitors? Contact us and we will arrange to get it published!